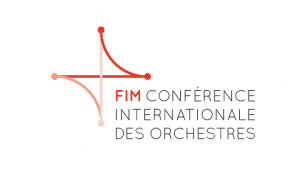 Naomi Bensdorf Frisch has served on the Executive Board of the Regional Orchestra Players Association (ROPA) since 2012, currently serving as delegate to the AFM Convention. 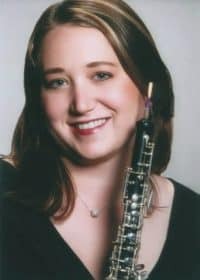 She holds positions as Principal Oboe in two ROPA orchestras: the Wisconsin Chamber Orchestra (on leave) and the Illinois Philharmonic Orchestra. In addition, Naomi teaches at North Park University and the Midwest Young Artists Conservatory, and maintains a freelance career as an Oboist in the Chicago area. Naomi has been actively involved with the AFM as a players’ committee and negotiating committee member. She also served as an intern to the AFM Symphonic Services Division, assisting with regional collective bargaining, in 2009. As a player representative, Naomi has had extensive interaction with board members, and helped to establish an active Labor-Management committee with the board members of the Wisconsin Chamber Orchestra. In addition to her performing career, Naomi is pursuing a J.D. degree with a Labor and Employment Law Certificate from Chicago-Kent College of Law. She plans to graduate in December, 2017, and has been named the recipient of the 2017 Sandra P. Zemm Labor Law Prize.